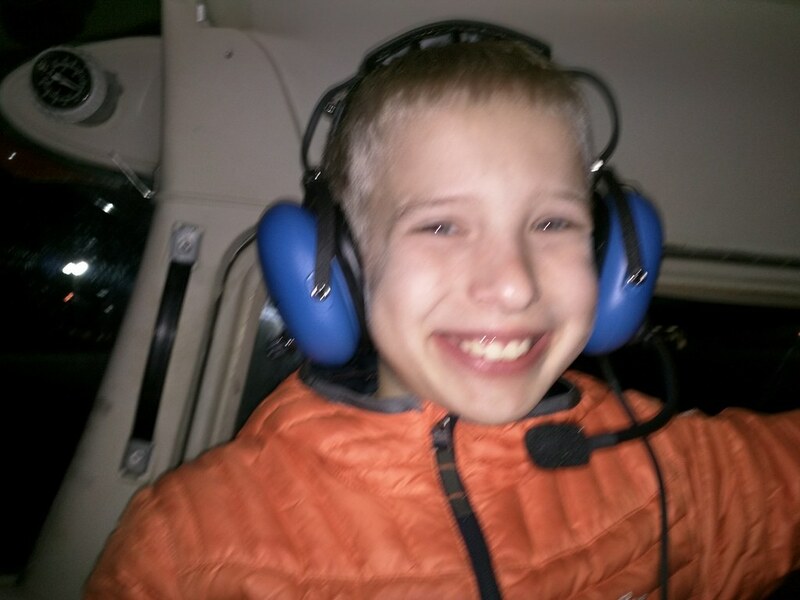 My 9-year-old son Jacob has been saying that, always with a big hug and his fond nickname for me (“dad-o”). It has now been a year since the first time I sat in the pilot’s seat of a plane, taking my first step towards exploring the world from the sky. And now, one year after I first sat in the pilot’s seat of an airborne plane, it’s prompted me to think back to my own memories. Back when I was a child, maybe about the age my children are now, I’d be outside in the evening and see this orange plane flying overhead. Our neighbor Don had a small ultralight plane and a grass landing strip next to his house. I remember longing to be up in the sky with Don, exploring the world from up there. At that age, I didn’t know all the details of why that wouldn’t work — I just knew I wanted to ride in it. It wasn’t until I was about 11 that I flew for the first time. I still remember that TWA flight with my grandma, taking off early in the morning and flying just a little ways above the puffy clouds lit up all yellow and orange by the sunrise. Even 25 years later, that memory still holds as one of the most beautiful scenes I have ever seen. I have always been an explorer. When I go past something interesting, I love to go see what it looks like inside. I enjoy driving around Kansas with Laura, finding hidden waterfalls, old county courthouses, ghost towns, beautiful old churches, even small-town restaurants. I explore things around me, too — once taking apart a lawnmower engine as a child, nowadays building HF antennas in my treetops or writing code for Linux. If there is little to learn about something, it becomes less interesting to me. I doubted that. But it was true. One of the most poetic sights I know is flying a couple thousand feet above an interstate highway at night, following it to my destination. All those red and white lights, those metal capsules of thousands of lives and thousands of stories, stretching out as far as the eye can see in either direction. When you’re in a plane, that small town nowhere near a freeway that always seemed so far away suddenly is only a 15-minute flight away, not even enough time to climb up to a high cruise altitude. Two minutes after takeoff, any number of cities that are an hour’s drive away are visible simultaneously, their unique features already recognizable: a grain elevator, oil refinery, college campus, lake, whatever. And all the houses you fly over — each with people in them. Some pretty similar to you, some apparently not. But pretty soon you realize that we all are humans, and we aren’t all that different. You can’t tell a liberal from a conservative from the sky, nor a person’s race or religion, nor even see the border between states. Towns and cities are often nameless from the sky, unless you’re really low; only your navigation will tell you where you are. 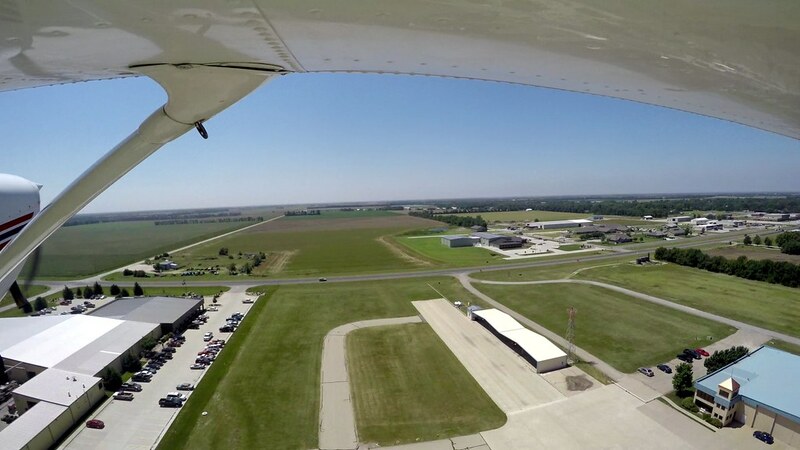 I’ve had the privilege to fly to small out-of-the-way airports, the kind that have a car that pilots can use for free to go into town and get lunch, and leave the key out for them. There I’ve met many friendly people. I’ve also landed my little Cessna at a big commercial airport where I probably used only 1/10th of the runway, on a grass runway that was barely maintained at all. 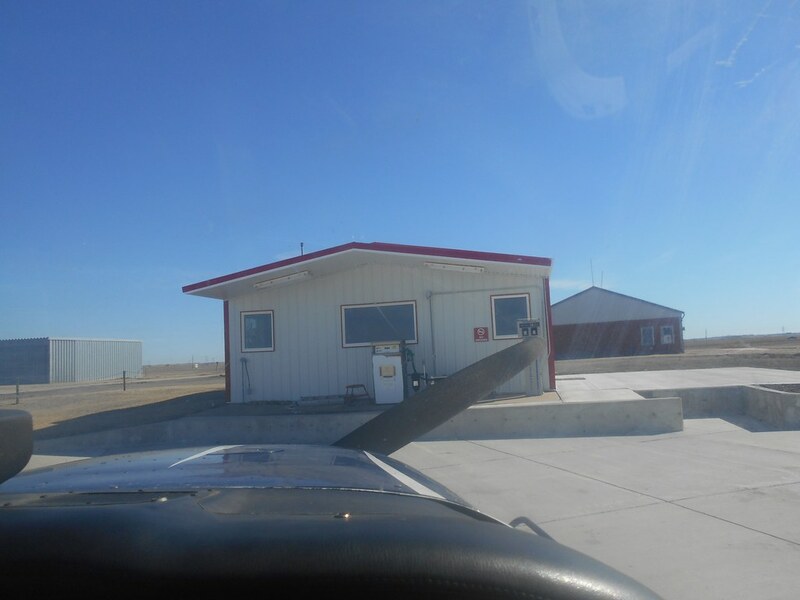 I’ve flown to towns I’d driven to or through many times, discovering the friendly folks at the small airport out of town. I’ve flown to parts of Kansas I’ve never been to before, discovered charming old downtowns and rolling hills, little bursts of rain and beautiful sunsets that seem to turn into a sea. For a guy that loves exploring the nooks and crannies of the world that everyone else drives by on their way to a major destination, being a pilot has meant many soul-filling moments. 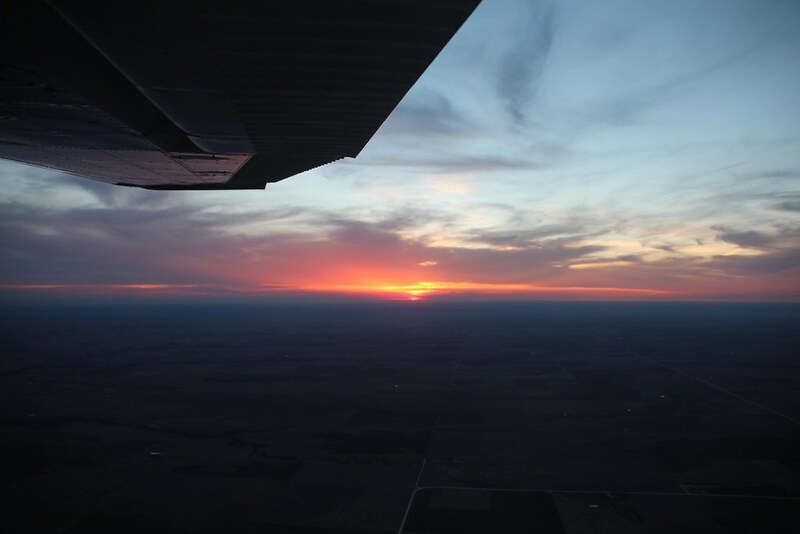 I knew becoming a pilot would be a lot of hard work, and thankfully I remembered stories like that when I finally concluded it would be worth it. I found that I had an aptitude for a lot of things that many find difficult about being a pilot: my experience with amateur radio made me a natural at talking to ATC, my fascination with maps and navigation meant I already knew how to read aviation sectional maps before I even started my training and knew how to process that information in the cockpit, my years as a system administrator and programmer trained me with a careful and methodical decision-making process. And, much to the surprise of my flight instructor, I couldn’t wait to begin the part of training about navigating using VORs (VHF radio beacons). I guess he, like many student pilots, had struggled with that, but I was fascinated by this pre-GPS technology (which I still routinely use in my flight planning, as a backup in case the GPS constellation or a GPS receiver fails). So that left the reflexes of flight, the “art” of it, as the parts I had to work on the hardest. 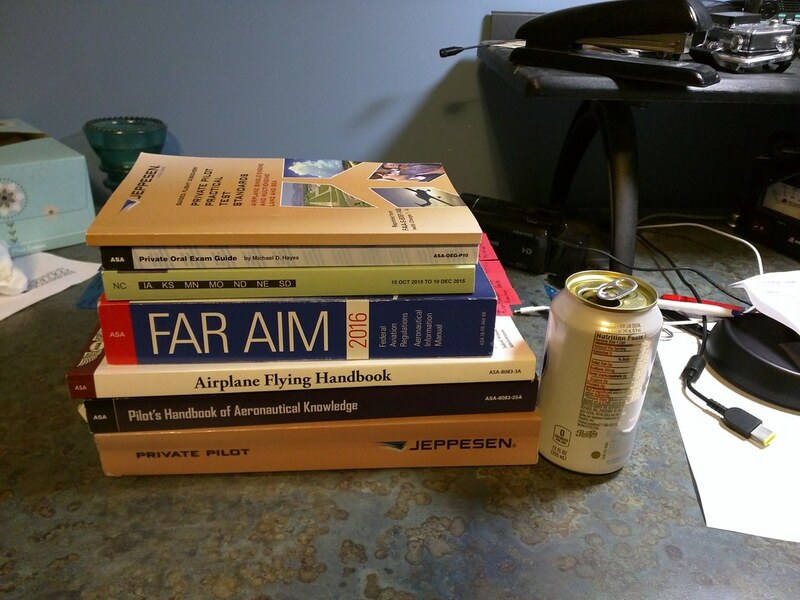 The exam with the FAA is not like getting your driver’s license. It’s a multi-stage and difficult process. So when the FAA Designated Pilot Examiner said “congratulations, pilot!” and later told my flight instructor that “you did a really good job with this one,” I felt a true sense of accomplishment. It just got more involved from there! Jacob and Oliver love model train shows. I couldn’t take them to one near us, but there was one in Joplin, MO. 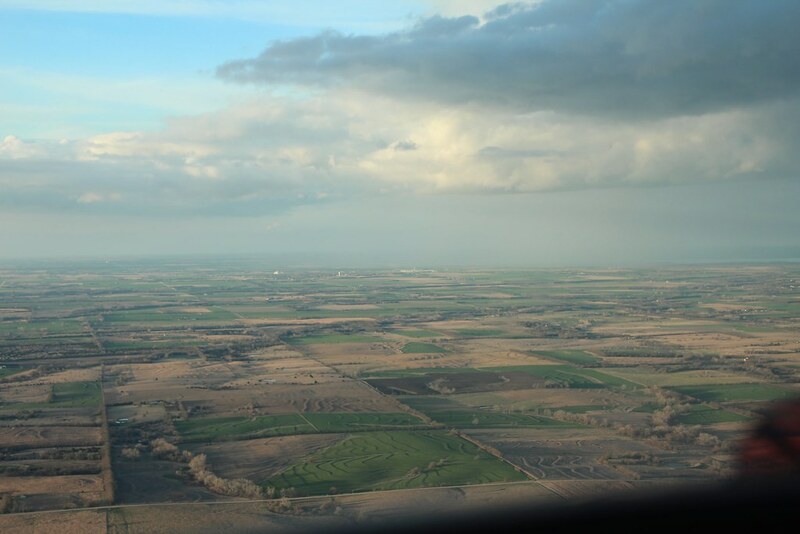 So the day before Easter, while Laura was working on her Easter sermon, two excited boys and I (frankly also excited) climbed into a plane and flew to Joplin. 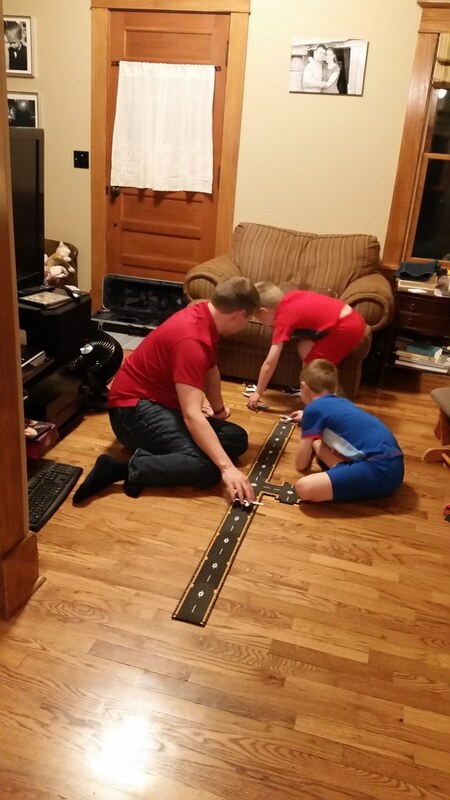 We had a great time at the train show, discovered a restaurant specializing in various kinds of hot dogs (of course they both wanted to eat there), played in a park, explored the city, and they enjoyed the free cookies at the general aviation terminal building while I traded tips on fun places to fly with other pilots. When it comes right down to it, the smiles of the people I fly with are the most beautiful thing in the air. Hi John ~~ Good to see you still blogging. A couple of weeks ago I went through the Blogstock 2008 roll call and found that you and I are the only active bloggers now. A few have gone private so I don’t know their activity status. I really liked this post and am a little bit envious. But I made the decision not to fly many years ago. My ex still flies and one of my sons may keep flying status but he sold his plane a long time ago. When you mentioned HF antennas I realized that you are now a ham. My call is K1tLT and I’ve had that continously since 1962. In 2008 I finally upgraded to Extra Class but I’m keeping my call as I am the first owner of it. It also is easy to recognize on CW. We moved to across Houston again, this time to Katy, Texas, and I’m not set up for HF. Deed restrictions prohibit outside antennas so will stick mostly to two meters. Right now I’m slacking to one blog with about twice a week posting but will get the poem blog going again soon. I will drop in here some more, you are an interesting writer. I do Facebook with some of the old bloggers still. Oh yes, the Blogstock roster is at the bottom of this post. It may be elsewhere also. Hi Jim, good to see you again. I never knew you were a ham – I haven’t picked up CW yet but if you ever get the HF antenna going maybe you’ll hear KR0L one of these days!